The All Progressives Congress and Peoples Democratic Party have disagreed over the readiness of both parties for the 2019 general elections. The PDP on Friday claimed that President Muhammadu Buhari was not ready for the 2019 general elections, alleging that the President and his party were plotting with the Independent National Electoral Commission to rig the elections. 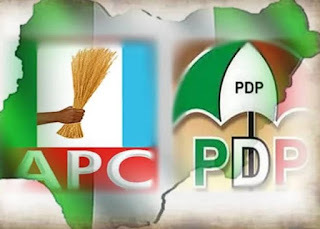 The APC, however, denied the allegation and accused the PDP of contacting some Russian agents in the bid to hack INEC’s server during the 2019 general elections. The PDP National Publicity Secretary, Mr. Kola Ologbondiyan, warned that there would be dire consequences if the election was rigged because, according to him, Nigerians were ready for change of government and good governance. He said, “President Buhari is not ready for election. We have about 60 days to the election, yet the APC has not constituted its election campaign committee and the party is not talking to Nigerians on the need to vote for it. “The whole world has now seen that the only reason President Buhari has refused to sign the Electoral Bill is because he knows that there is no way he can win in a peaceful, credible, free and fair election. His only hope in contesting the election is getting INEC and security forces to assist him and the APC to rig. For PDP, our presidential candidate, Atiku Abubakar, is ready for the election. The APC, however, insisted that the PDP had contacted some Russian agents in the bid to hack INEC’s server during the 2019 general elections. The party said this accounted for why the opposition party desperately wanted President Muhammadu Buhari to sign the 2018 Electoral Amendment Bill. He said, “The Act we are using now was created by the PDP. They created a law and they are now afraid to use it. That does not sound right. The PDP is playing out what they designed in Dubai. They started with the labour strike on minimum wage in order to cause problems in the country but it did not work; they brought ASUU strike, it did not work and then they tried to instigate fuel scarcity which also did not work. All right reserved @newstoday. Powered by Blogger.